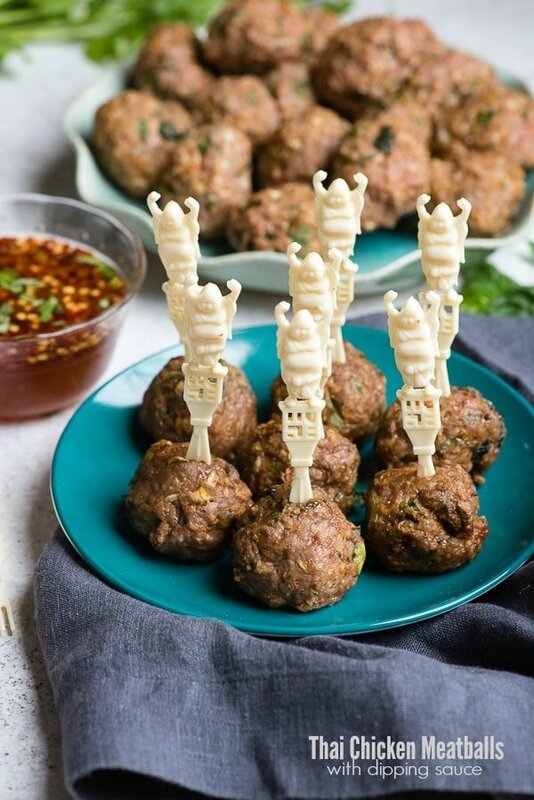 Thai Chicken Meatballs are a versatile recipe perfect for an appetizer with dipping sauces, on rice (or zucchini noodle) pasta, in soups and sandwiches. 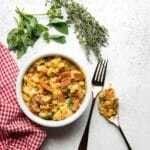 Loaded with familiar Thai flavors of cilantro, basil, ginger, garlic, lemongrass and more, the recipe is simple and easy to make. These made with a quick trick for homemade gluten-free breadcrumbs too! At this time of year having versatile recipes that can be used in multiple ways is always welcome in my kitchen. Thai Chicken Meatballs are a great example of that. This simple recipe is packed with familiar Thai food flavors and are perfect for many dishes. 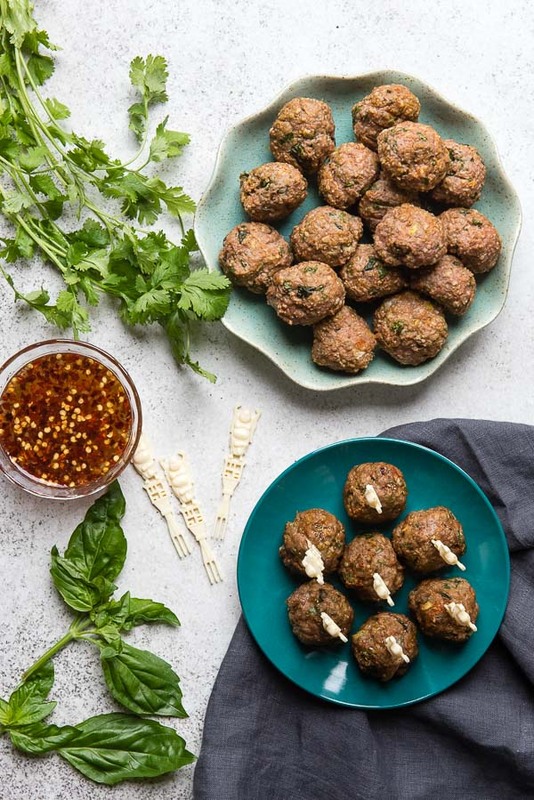 Thai Chicken Meatballs are great to serve as cocktail meatballs with a wonderful tangy sweet-spicy dipping sauce (I’ll be sharing my favorite). They can be added to your favorite pasta or zucchini noodles (‘zoodles’). Drop them in a delicious homemade chicken soup recipe or let them star in sandwiches (as in the case of these Slow Cooker Buffalo Chicken Meatball Mini Sandwiches) on a dinner roll, hot dog bun or regular bread. The sky is the limit! Meatballs always need a binding agent which is usually breadcrumbs. 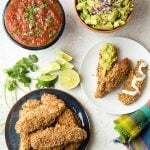 This can be tricky for those gluten-free but it’s super easy to make homemade breadcrumbs with either gluten-free or gluten bread. For these meatballs I used one of my favorite gluten-free breads, Udi’s Gluten Free White Sandwich Bread. It has a flavor that works wonderfully in all recipes. How To Make Homemade Breadcrumbs Fast! There are multiple ways to make homemade bread crumbs. 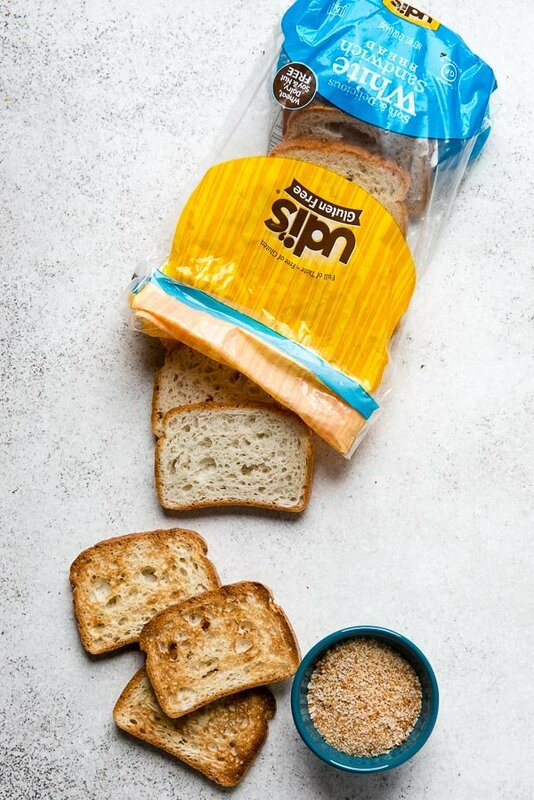 Stale bread can be used and processed through a mini chopper or food processor to the desired size breadcrumb. We generally gobble up all our Udi’s Gluten Free bread (sometimes I save the heels in the freezer and then make crumbs from them later) so my usual method includes toasting fresh bread, processing it in to crumbs then flash broiling it to ensure it’s fully toasted and dry. Here are the details of how to make homemade breadcrumbs. For these meatballs I processed the crumbs twice to ensure they were very fine as shown in the photo above. As I was making this recipe it struck me that I’m a lazy food prepper. I have had a mini chopper for years (in fact I’m on my second one) and I use it for everything I can. If you aren’t familiar with them they are like a mini food processor and are great for smaller tasks. Anything I need to chop or dice I put in the mini chopper versus doing it by hand; and again it’s perfect for making these breadcrumbs. For a recipe like Thai Chicken Meatballs, with all ingredients being combined in the end, there is no reason to even clean it out between ingredients. It saves a huge amount of time! These Thai Chicken Meatballs are light but full of flavor. Cilantro, basil, lemongrass, lime, Thai curry, and more. They are not spicy on their own making a slightly spicy dipping sauce a perfect partner when serving them as an appetizer. I like the idea of using your own homemade breadcrumbs. I have never attempted to make my own, but it sounds so easy, I wonder why I haven’t done it before. The meatballs look delish! 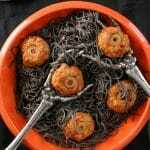 These meatballs look and sound amazing!! I totally need to make some with Udis. We are eating much cleaner so these are perfect. I was trying to think of an appetizer for an upcoming party. These actually sound perfect! I’ve never thought about making my own bread crumbs before. 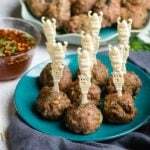 What a great idea especially to make these delicious meatballs! It’s so easy but somehow until you make them you never think to (that was me at least)! I could eat meatballs all day long. Make them Asian and I am in heaven! These sound delicious and perfect timing as I feel like we are eating the same things each week. Sort of what happens when school starts until we can figure out a system. I need to get a mini chopper! What a great tip! These look really delicious. I am always look for new dinner recipes, and I haven’t made meatballs in forever. These would be great for dinner this week. Those look delicious. I love Udi’s bread! They’re one of my favorites! Cathi and I enjoy eating Udi’s gluten free products. Thanks for the easy breadcrumb recipe. Can see from the photos how great the meatballs turned out. And please pass the dipping sauce! These meatballs look so delicious and easy to make. I will have to get the ingredients I need to make some this week. I am sure they will be a big hit. You’d never know the crumbs are gluten-free by the flavor so everyone can enjoy them!! You cannot go wrong with meatballs and these sound perfect for the fam. I know my boys would be first in line to taste test! I’d definitely be interested in trying these with the dipping sauce. It would be fun to incorporate them into some other recipes too. These meatballs sound so good! I have made gluten free meatballs a couple of times, and I always use homemade gluten free breadcrumbs. It’s so easy to toast some bread and make them! Isn’t it so easy? When I was a gluten-eater, over 10 years ago now, I never would have thought to make my own breadcrumbs. Who knew how simple they are to make. 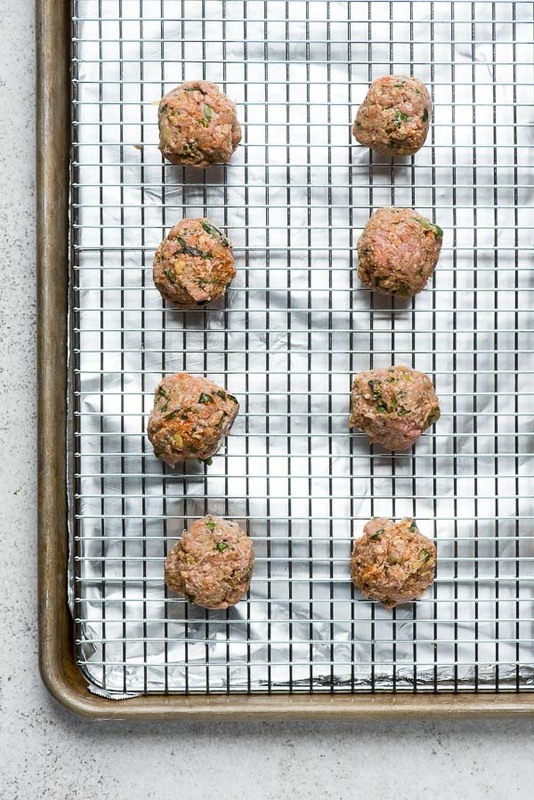 Those sound delicious … and they’re such a great twist on regular meatballs! Your gluten free meatballs and recipes are great for people with allergies. I will keep this one in mind for a special occasion or party! Thank you for sharing the recipe. I will make these and keep some in stock in the freezer. That would really help me make a delicious easy to make meal during weekdays. I just love meatballs, but never thought about chicken or even thai. These look perfect for the upcoming football season or even date night. Thai chicken meatballs look super delicious. I will have to give this recipe a try for dinner one night. I love that you shared this, seems easy enough to whip up! I would love to try this. My mouth is watering just thinking about it! I only have two meatball recipes and I needed to add to that list. I am totally going to make these. Looks mouth watering! And I love that it’s done in 37 minutes, too! What a delicious and time saving recipe! Oh, yum! I can’t wait to make these. Thai food is one of my favorite ethnic types of food, and of course, meatballs are always great. So good! You cannot beat meatballs with a stick! They’re perfect for family dinners or for appetizers. These looks super tasty. I can’t wait to make them. Those meatballs sound SO good. We are having a party in a few weeks and these would make an awesome addition to the menu! Nice ! 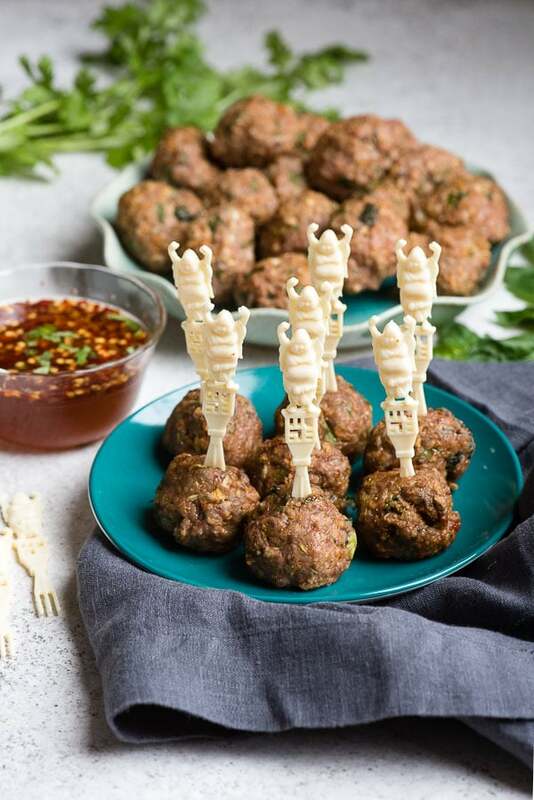 i love chicken and your thai chicken meatballs looks so good and delicious i can’t wait make this, thanks for sharing & keep shared your new amazing recipe with ideas…. !